The overwhelming sense in the Congress even Tuesday morning, hours before the Bill was passed with its support, was in favour of referral of the Bill to a committee. Former Law Minister Ashwani Kumar. 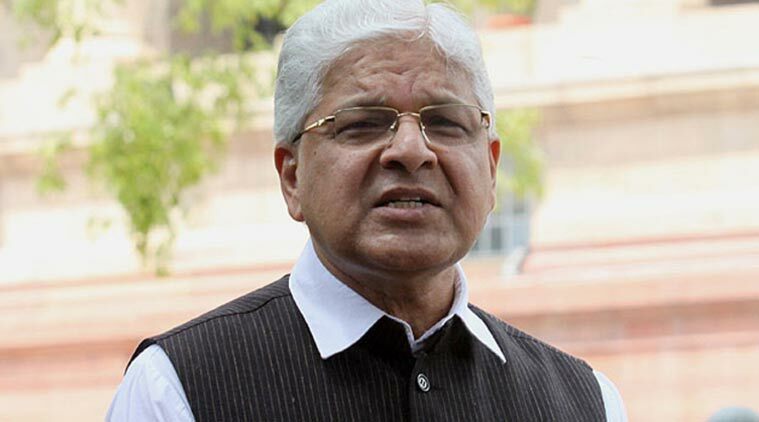 A day after Rajya Sabha hurriedly passed a Bill that allows juveniles aged 16 to 18 to be tried as adults for heinous crimes after the Congress changed its stance and backed it, senior party leader and former Law Minister Ashwani Kumar today said laws, especially those with punitive consequences, should not be enacted under pressure and argued that the Bill should have been referred to a Select Committee for an in-depth examination. “Across the spectrum, which includes civil society, Parliamentarians and different political formations, there was a sharp division of opinion on the advisability of reducing the age of culpability from 18 to 16. Arguments can be advanced on both sides. It could have been better had a much more comprehensive discussion taken place either in the select committee or otherwise,” he added. Kumar said there was support for the view that the Bill be referred to a Select Committee. “However, the Rajya Sabha, in its collective wisdom debated the provisions and finally enacted the law. In the light of experience to be gained in future, Parliament can rectify the deficiencies if any, in the law,” he said. The Congress had opposed the Bill when it came up for discussion in Lok Sabha arguing laws cannot be “based on one instance alone” and to “appease to popular political sentiment”. It had then called the legislation badly written law and the idea of lowering the age an “inhuman idea” but caved in under the noise on the street and decided to help pass the Bill.